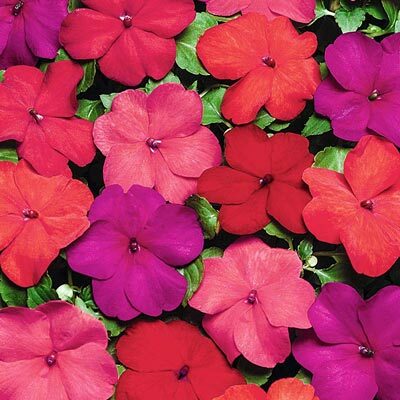 Bright, hot-colored flowers bloom all summer long. Prolific bloomer with vigorous, uniform plants growing 8-10 in. tall. Easily fill a container or provide lush covering in shaded to partially shaded flower beds. Approx. 25 seeds per pkt. Germination Up to 21 days. Light Requirements Partial shade to full shade. For each offer ordered, get 25 seeds per pkt. Depth: 1/8 inch, needs light to germinate. Sun/Shade: Partial shade to full shade. Color: Bright, mixed hot colors. Flower Form: Single, 5 - petal flowers. Soil Requirements: Fertile, well-drained soil. Seed Count: Approximately 25 seeds per packet.